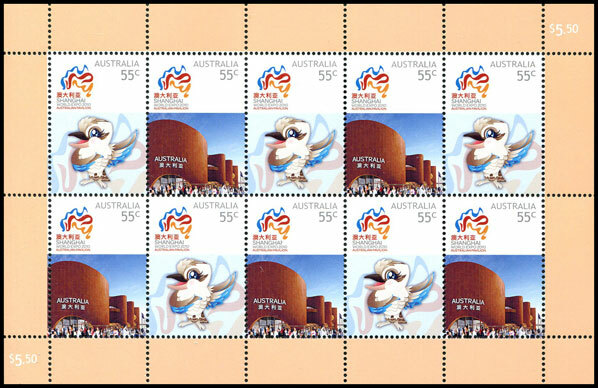 Australia Post has only ever commemorated two past World Expos - Tokyo in 1970 and Brisbane in 1988. On the 18 May we can add Shanghai 2010. 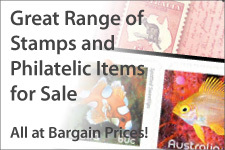 China is still a growth market for stamp collecting, so like the Beijing Olympics, issuing a number of stamps with a Chinese theme or connection will help promote Australian stamps. 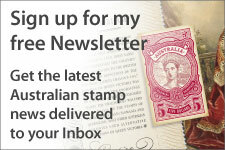 Australian stamps will also be sold at the expo, further promoting Australia and our stamps. 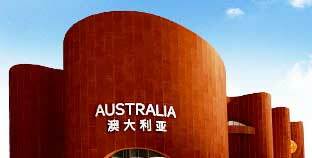 More information on Australia and Shanghai World Expo 2010 visit http://www.australianpavilion.com . 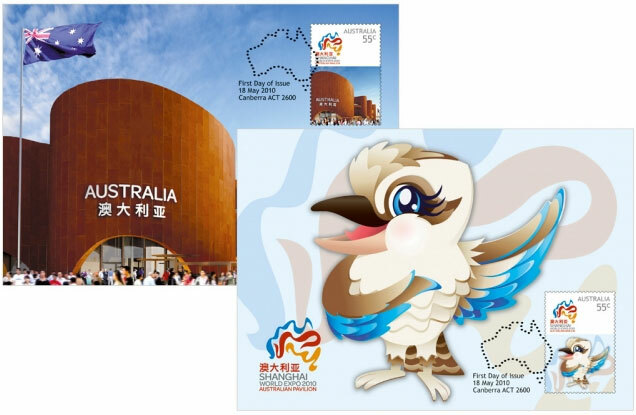 This rather uncomplicated issue, consists of just two stamps showing the Australian Pavilion and kookaburra mascot 'Peng Peng', which translates to 'friendship' in Mandarin. 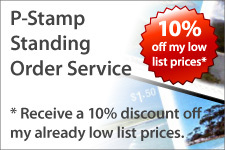 The two stamps were issued in horizontal and vertical pairs within the sheet of 10. Two maximum cards accompanied the issue, each showing an enlargement of the bottom two-thirds of the stamps.